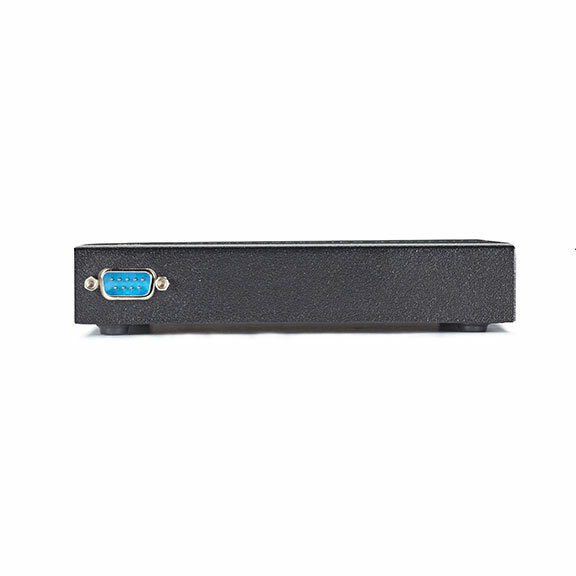 Turn your IP-based MediaCento IPX transmitters and receivers into an IP-based matrix switch and video wall controller. Take full control over your IP-based MediaCento IPX transmitters and receivers. 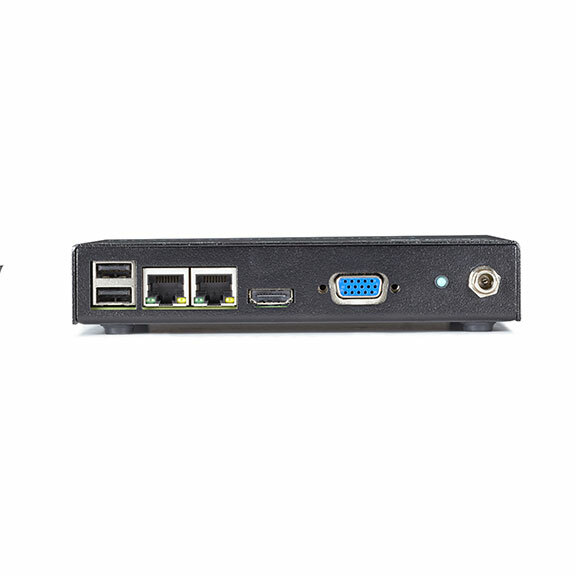 Add the MediaCento IPX Controller to the system and get IP-based matrix switching and video wall control. 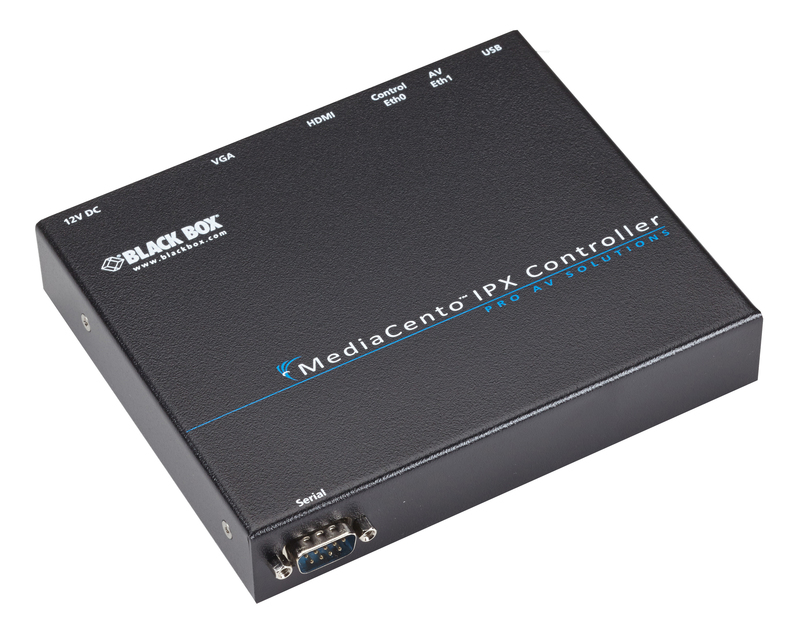 The MedaCento IPX controller brings cost-effective, flexible matrix switching and video wall control to a new level. The controller appliance enables customers to take full control over the IP-based MediaCento IPX transmitters and receivers and turns the system into an IP-based matrix switch and video wall controller. Setup is easy. Plug the device into the network of the MediaCento units, and the device automatically detects any MediaCento units in the network. Pull them into the Web interface for easy control. If the AV signals are on a separate network, the MediaCento IPX control has two Ethernet ports that allow control from a secondary network. Run the AV signals on one network to prevent overloading the corporate network and simultaneously control the units from you cell phone or office computer on the corporate net. The embedded appliance includes a Web interface, which allows you to switch from any source to any display, create presets and groups, create multi-zone layouts, combine multiple receivers into a video wall, and control and switch video wall zones remotely. The IP-based system does not have any port limitations and can potentially support hundreds of devices and video walls up to 8 x 8 in size. The system also features mobile support, which allows for easy access and monitoring of presets from cell phones or tablet devices. This product is covered by one of more of the following: United States Patent Nos. 7,457,250; 8,155,012; 8,902,760; 8,942,107; and/or 9,049,019. * Technical specification weight is the unit weight. It is not the packaged shipping weight. For shipping weight, please contact Black Box customer service at 1-800-316-7107. Take the risk out of equipment purchases with the Double Diamond™ Warranty from Black Box Network Services. 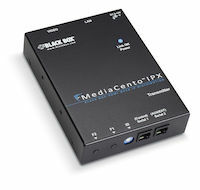 The MediaCento IPX Controller comes with a standard 3 Year Double Diamond™ Warranty (Standard) already included. Plus, get an Extended Double Diamond Warranty. You can also extend your warranty or protect a previously purchased Black Box® brand product** for an additional year—for only 10% of the purchase price! Or, extend your coverage for a full three years for only 20% of the purchase price! Ordering an extended warranty is easy: When viewing a product in your shopping cart, just select the one or three years of additional coverage in the dropdown menu under “Warranty Options.” For details, contact Customer Service at 724-746-5500. * Warranty subject to certain exclusions and limitations ** Certain products may not be eligible. What’s more, we also have a 45-day return policy. Simply call Customer Service for a Return Authorization (RA) number, return your product in new condition and in the original package, and receive a full refund. * Technical specification weight is the unit weight. It is not the packaged shipping weight. For shipping weight, please contact Black Box customer service at 877-877-2269. Protect your purchase with an additional 1 Year Double Diamond™ warranty! Protect your purchase with an additional 3 Year Double Diamond™ warranty!